Starting with the unusual clear glass brick façade of the new Chanel Store in Amsterdam designed by the Dutch architects of MVRDV and built by a team of professionals who worked not only with researchers and engineers but with the Venetian glassmakers of Poesia - Resana (VE), we take another look at a number of single-brand stores recently covered in Floornature and Livegreenblog. Antwerp’s new Les Hommes flagship store, designed by Piuarch, is another example of outstanding store design for fashion, expressing the key concepts inspiring the Belgian brand’s stylists Tom Notte and Bart Vandebosch in the spaces, colours and materials of the store’s architecture. Comparison of three Apple Stores, one built in London by da Foster + Partners and two in New York by Bohlin Cywinski Jackson, offers useful inspiration for reflection on how architects can express a brand’s image and values in architecture. The Apple Store in London’s Regent Street, designed by Foster + Partners, is a new green square in a relaxed setting of innovative design which demonstrates respect for the existing buildings around it. 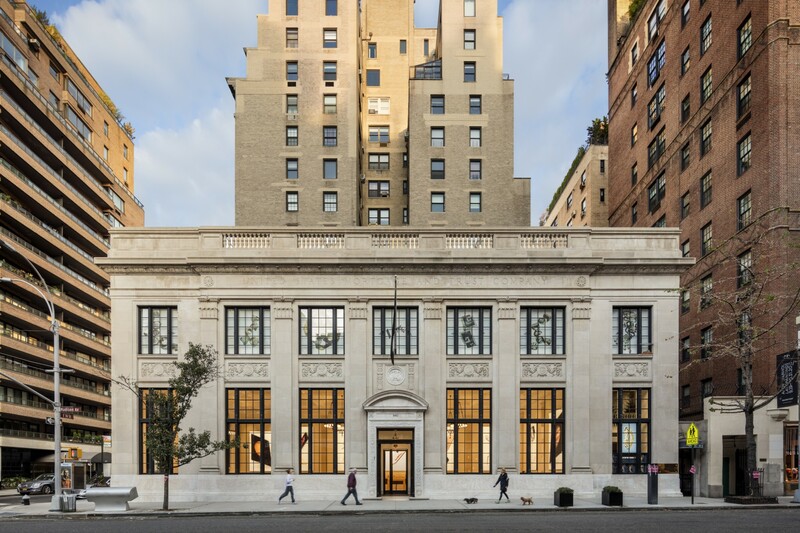 The Apple Store designed by Bohlin Cywinski Jackson is located in an important historical building in New York’s Upper East Side dating back to 1922, requiring careful restoration and conservation. The second Apple Store in New York, also designed by Bohlin Cywinski Jackson, is located not in a historical building but in a construction of great evocative power: Oculus, the new World Trade Center Transportation Hub designed by architect Santiago Calatrava.